The summer of 2014 was memorable for the unlikeliest of reasons — an unexpected mid-summer flood How bad was it? All told, there were 923 evacuations from communities, with 60 municipalities declaring a State of Local Emergency. We have not only the story, but solutions — from the municipal elected officials who have been at the forefront of the flood fighting efforts. This fall issue is also full of inspiration — from numerous “green” initiatives, to all the details on the upcoming 16th Annual Convention, to the story of a long-time reeve’s determination in the face of adversity. And we salute dozens elected officials for their long service. 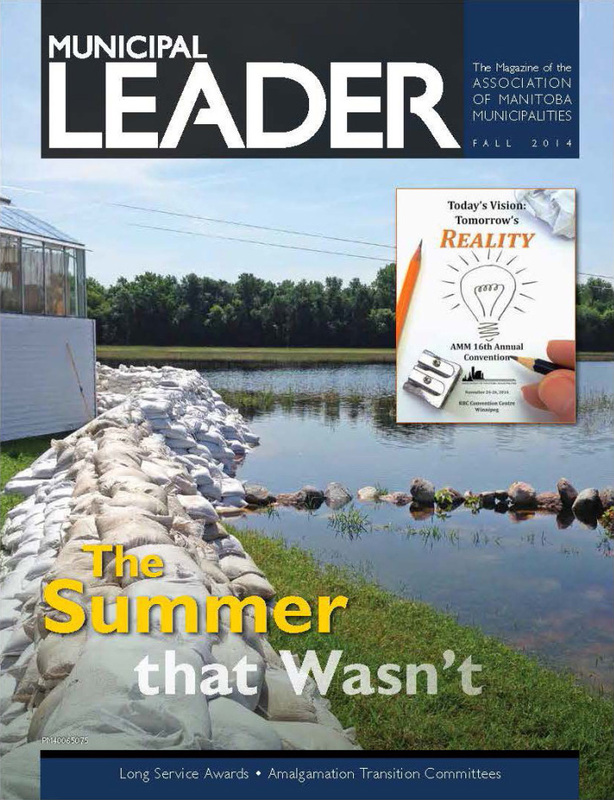 Interested in advertising in the Municipal Leader? View the media kit.